This EVO X is No Slouch. The Mitsubishi Lancer Evolution has been around just as long as the Subaru Impreza WRX. They’ve been battling back and forth for just as long. The latest iteration of the Mitsubishi Lancer Evolution is the EVO X. 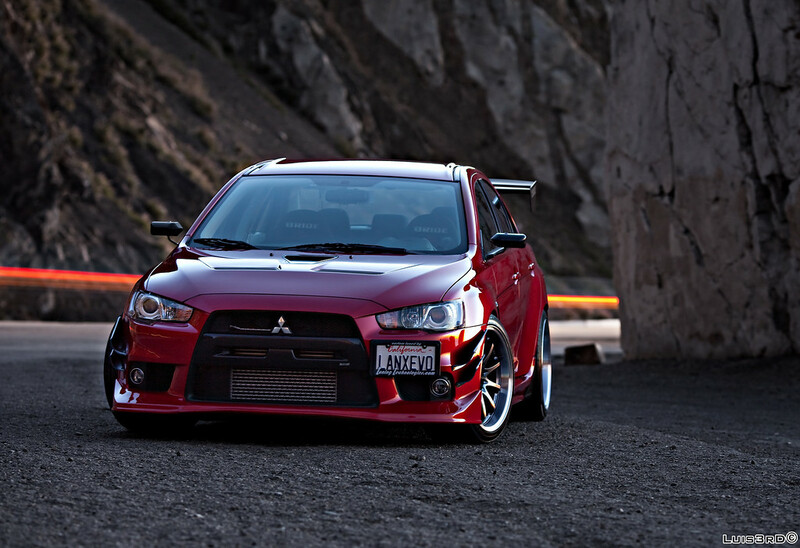 The Mitsubishi EVO X is an evolution from its older siblings in nearly every way. The EVO featured here is a perfect example of the new Mitsubishi EVO X. Archie’s car is no slouch and has had 3 sets of wheels already (not including the stockers). Archie hasn’t done things slowly in terms of modifying. He had some killer 18×9.5 TE37s on his car shortly after buying it. Then he decided to run some very slick 19×9.5 AME TM02’s.